Drones and photogrammetry software are powering the shift from repairs and maintenance departments to smart infrastructure asset management. The responsibility of managing highway assets is shifting from reactive maintenance and repair organizations to dynamic, strategic planning agencies. 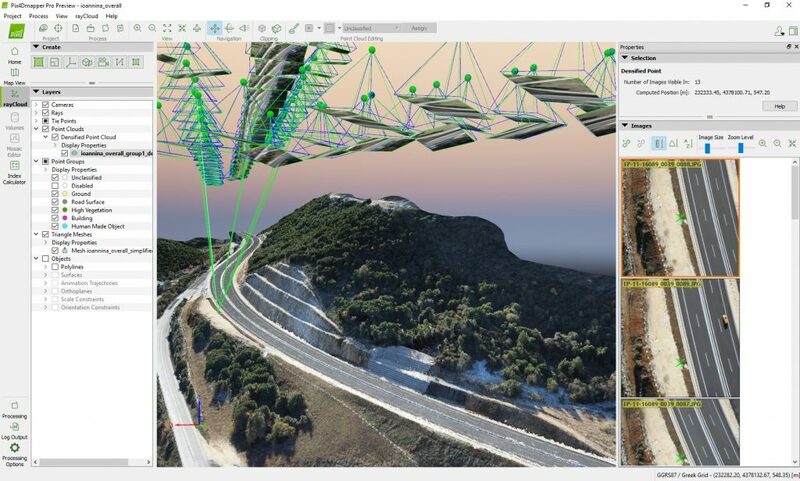 Technology drivers such as the advent of drones and photogrammetry software in the geospatial industry are driving that change. The combination of these technologies is commonly referred to as drone-mapping and enables organizations to tackle operational challenges–allowing them to perform frequent inspections and create up-to-date, digital asset databases. Reduces the high cost of traffic disruption. With traditional surveying methods, highways need to be closed to traffic for several hours. Drone mapping missions can be performed in 20% of the time, without disrupting traffic. Based on traffic management statistical information and the Economic Assessment Manual of the Roads and Maritime Services NSW, the estimated cost of traffic disruption per hour is about $10,000 AUS for major single roads, $25,000 AUS for major dual roads and $80,000 AUS for freeways. Drone mapping missions can be performed in 20% of the time, without disrupting traffic. The goal of the project was to produce documentation for asset management of 11km of new highway and an as-built survey on a radius of 80 meters around it. Our client required an accuracy of 10 cm.